The summer of 2013 was one of the best summers ever! I went on a sailing trip in Croatia! 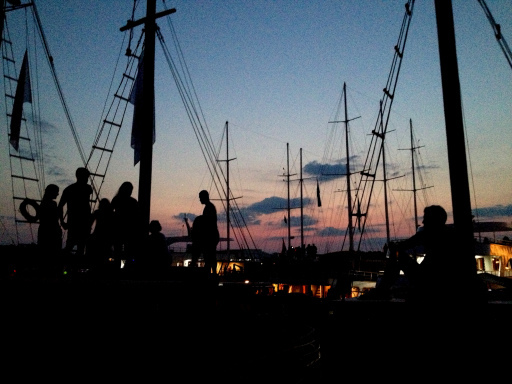 A fun-filled holiday on a vintage sailing ship with great weather, beautiful scenery, great food, great people and amazing parties! I booked this trip in January 2013 through Kilroy Travels in the Netherlands and a friend from Australia joined me on this trip! 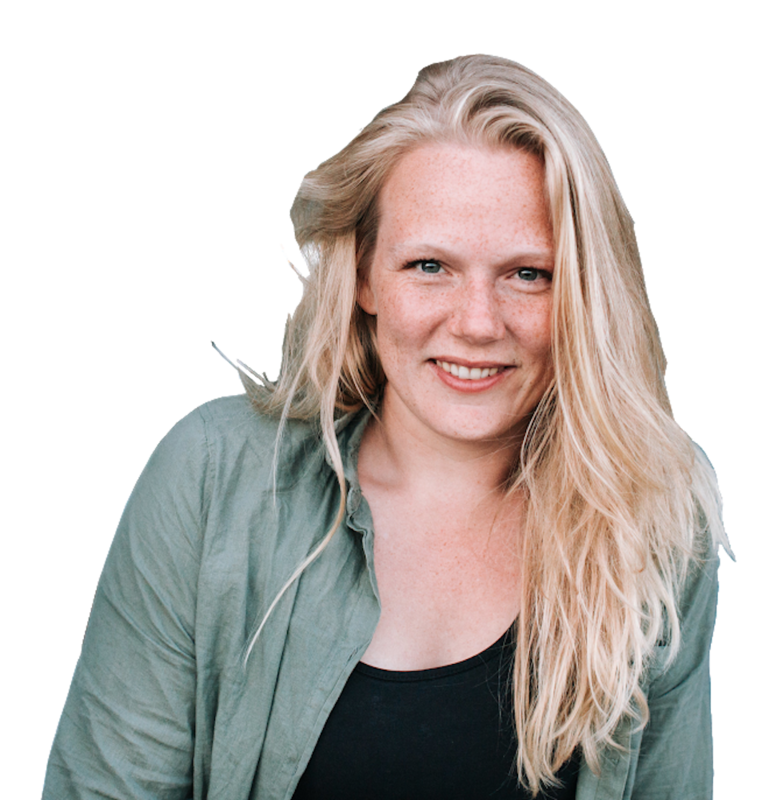 After booking, we found out we would join a boat by Katarina Lines on a so-called “Young and Fun” cruise. To give you a first-hand insights in this type of holiday, I’m writing this Review on Katarina Line Croatia ! And of course, to decide whether this is something for you or not. 🙂 Happy reading! 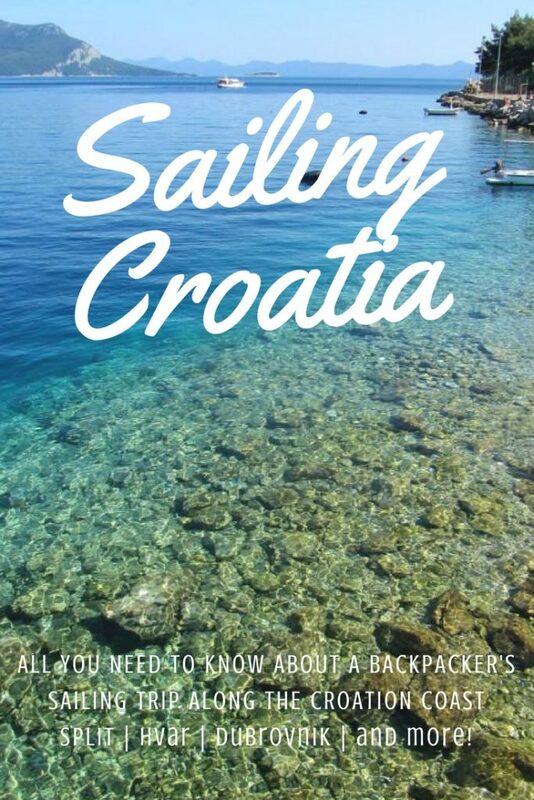 4 Croatia sailing trip as solo traveller? When I was still studying I was a super-low-budget traveler 😀 As such I have compared many different companies/touroperators offering this trip. As far as my knowledge goes, there is a difference between the actual sailing companies and travel agencies booking their groups on the boats of the sailing companies. There are several sailing companies offering this trip of which the most familiar ones are Katarina Lines and Sail Croatia. According to their websites it seems like you can book straight with them as well. Then, there are several large tour travel agencies like Busabout or Fanatics whose flags and banners you can see on different boats. At the time, there were 4 Katarina Line boats doing the same route, of which a couple were occupied by Busabout. 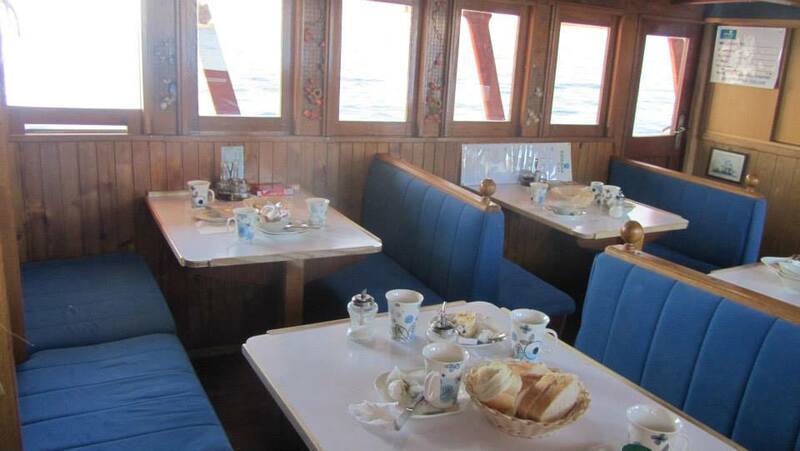 And then, there are travel agencies around the world booking individual travelers on the Katarina line boats such as the one I booked through. These travel agencies do not seem the charge extra for booking these trips. Next to picking a company, you can also pick different trips. You can take one-way trips along the Dalmatian coast between Split and Dubrovnik, do a Zadar or Split roundtrip or do an island hopper trip. The boats I have seen differ quite a bit in terms of capacity. For example, our boat had space for 20 people but there were other boats holding 32 persons or more. Another big difference is the cabins. Our sailboat had only under-deck cabins, other boats also had upper deck cabins. 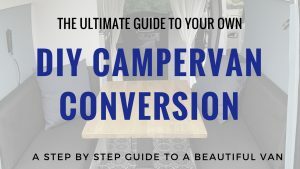 Depending on how claustrophobic you are, this may make or break your trip 🙂 The same goes for the bathrooms, some are shared and some are ensuite. Next to all this, there will probably be differences if it comes to quality of the crew, food and drinking prices but as we were only on our boat it’s hard to compare. Finance wise, I think we got the cheapest deal available in July at €550 for the week. This means from Saturday to Saturday with accommodation, sailing, breakfast, lunch and every night a stopover in a harbor included. We booked a €180 return flight to Split from Amsterdam. The flight was initially from Rotterdam but that flight was cancelled. Our flight had a stopover in Munich on the way there and a stopover in Vienna on the way back. We booked trough Lufthansa but the flight was carried out by Lufthansa, Croatia Airways, Tyrolean Airways and Austrian Airlines. You can consider flying into Zadar or Dubrovnik, both an easy busride away. You pay an additional €20 in port fees and pay for your drinks on the boat, plus your dinners and drinking expenses at night. Dinner in Croatia is not expensive and there are many pizza and pasta options available. It’s not always easy to find a place to eat with the whole group though as its quite busy everywhere. 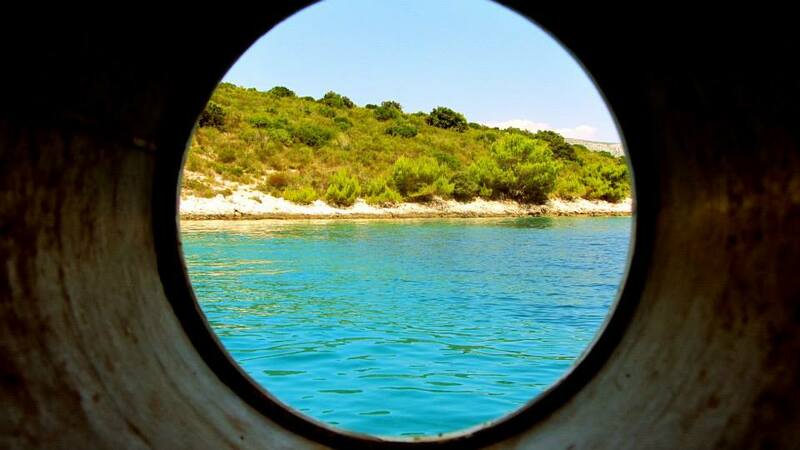 Croatia sailing trip as solo traveller? All people on our boat joined in pairs or larger groups. But as someone who travels solo much of the time, I have to say there are few trips I have done that would be so easy to do by yourself as this one. 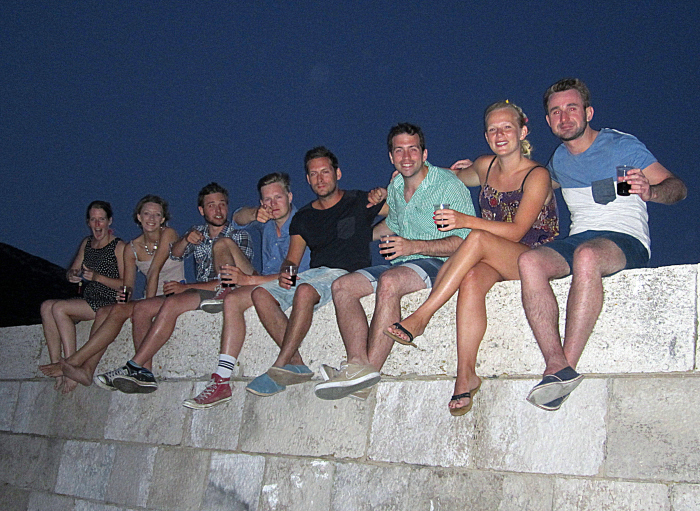 It’s super easy to make friends on the boat (if not your boat then on others) and meet people to go out with at night! Some boats get so close that they even organize reunions! Meeting up with random people, making friends easily and staying in touch afterwards is definitely one of the signs that you have sailed Croatia 😀 ! Also in the cities and towns we went to, the atmosphere was really relaxed and as everyone was on holiday it was easy to mingle and get to know other people. One of my best non-backpacking holidays ever! So much time to relax and insane parties at night. Friendly, funny, helpful, great cooks and decent English. Not much else to wish for! Breakfast and lunch were included every day. Although you will rarely make it to breakfast (between 8am and 9am.. why?? ), lunch was just amazing. Always a starter like soup or tuna bruschetta with a main course of fish, meat or spaghetti/lasagna, mash potatoe and salad, with bread. One day we could see the captain cleaning the fish just off the boat and we had it for lunch two hours later! Clear blue skies and 30 degrees basically every day. It got a bit more windy two nights. 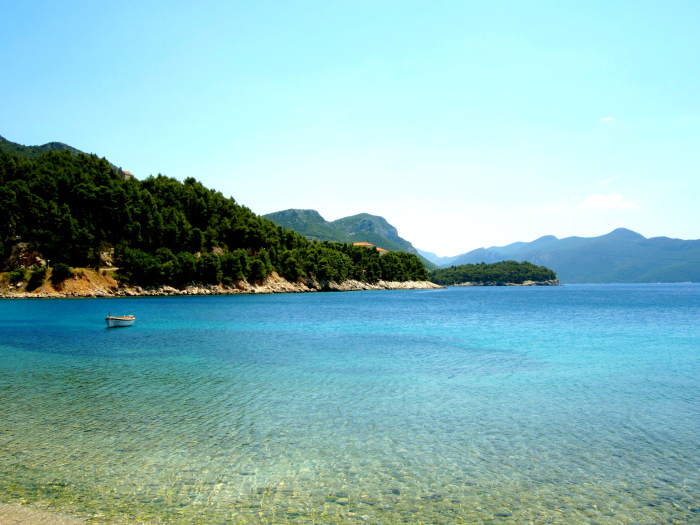 You’ll get to see some highlights of the Dalmatian Coast which is absolutely stunning. Hvar and Dubrovnik (check out these cool things to do in Dubrovnik) are some of the most famous one, but I fell in love with the tiny villages where we would settle down for the night. 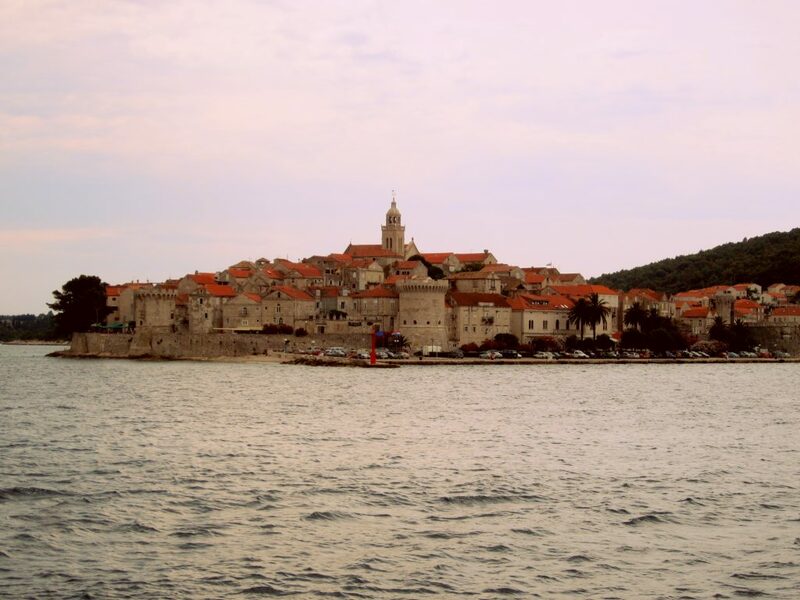 A walking tour of Dubrovnik is included in the price. I can definitely recommended it you like to know a bit more about the history and some fun-facts of the city. Bars on old city walls, clubs in caves, clubs on islands, clubs in castles.. You will find some of the most amazing spots to sip on a cocktail or party on this trip! Of course I’m not writing this review Katarina Line Croatia only for the positives 😉 Hereby some points that you should know about before you decide to book this trip. Cabins are super duper tiny. Not a big deal, just prepare for it luggage wise 🙂 Big backpacks or suitcases are not comfortable! Water was overpriced on board – same price as a beer for a 0,33L bottle. Also they try to sell you this deal €20 for 1,5 liter water a day. Don’t fall for it it’s not a deal. It’s exactly the same price as you buy the bottles separately. Also, the beer was terribly flat and not tasty at all. At the end of the week we were all pretty much done with it. We bought some drinks in the supermarket, and had some drinks in and around the boat. Nobody actually checks whether you take drinks on board. Just don’t show them in front of the crew and you’ll be fine. The docking is quite an experience. In larger ports where many sailing boats dock, the boats will dock next to each other. You have to cross boats in order to reach the dock. This actually had the potential to be funny/dangerous/many more things! On the “worst” night we had to cross 16 boats (we counted!) in order to make it to our boat which had arrived last that day! On long sailing days the boat will leave at 6 or 7am. Make sure to be back on the boat in time because they don’t check if everybody’s there. I mentioned the insane parties before.. once we just made it back 20 minutes before the motor started! I never thought I would say this – Australians! This one falls mostly under the just for you to know category. Prepare yourself for an overdose of Australian travelers 🙂 . There is a complete lack of a diverse crowd in Split and on the sailing boats.. Luckily Australians are a happy party crowd and in general are fun. No soft sandy beaches here, prepare your feet and back 🙂 Luckily, most of the time you will spend sunbathing on the boat while sailing. You will be able jump off the boat to do some swimming! We did not receive any specific communication about when (between 10am and 12h30 pm?) or where to check in. We also didn’t know the name of our boat. So, we walk by the office. The office is a close by the Riva Promenade in Split. The staff was extremely friendly. They told us our boat had had a big group that week they had to drop somewhere. Then it still had to be cleaned so the boat would only arrive at 1pm in Split. This meant we didn’t have to bother sticking to normal boarding times around 12h00. They also gave us the name of our boat. When we arrived at the Riva to board around 12h30 we could not find our boat. We also could not find a Katarina Line representative! We had to ask another captain. He finally found out where the Katarina Line reps were! When we arrived at the right spot, we were obviously late and the people were not that friendly anymore! Apparently, our boat ran into to some trouble and needed repair at another harbour 20 minutes from Split. They had arranged a bus transfer which had already left because we were late! They then wanted us to go by public bus to this other harbour and have us pay for it (?). Luckily, one of the reps arranged for the transfer to come back and pick us up and in the end it all ended up okay. Morale of the story: just go there in time even though you might end up waiting for a while. If you have any questions on this trip or on this review Katarina Line Croatia feel free to ask! 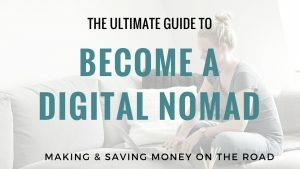 Pin this post to one of your pinterest boards! 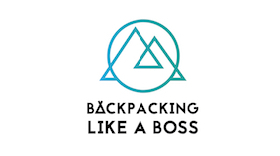 Hi, I am thinking on booking this trip through Kilroy travels (Norway), and i was wondering if you did any of the optional activities, like rafting and zipline? Hi Maren! No we didn’t. We had some people doing rafting and they liked but it was not spectacular! The boat trip itself and the parties are amazing though 🙂 try staying in split or Dubrovnik a couple of days in advance or afterwards! And if you go when there is a large festival in town it will be super lively 🙂 enjoy!!! Hey 🙂 I’m looking into booking this trip through Kilroy (Iceland) for August. I was wondering, since there are two meals included (breakfast at 8-9 is insane, I agree!) – would you say you spent a lot on additional expenses? Like drinks and dinners for example? Drinks and dinners are fairly cheap in Croatia, however you will have to spend money on it every day. The drinks at the boat were not super cheap, but if you buy them in the super market and drink at the beach before it will become a lot cheaper :). Dinners in restaurants can vary between 10-20€. There are many nice fish restaurants which are on the higher side, but pizza’s are very affordable. Have a lot of fun, if you want to know anything else please let me know. Hi! What were the ages of people on your boat? Hi Rachel, I’m so sorry I missed your question! We had a group of Australian girls aged around 18-20. The other half of the group was between 25-30. 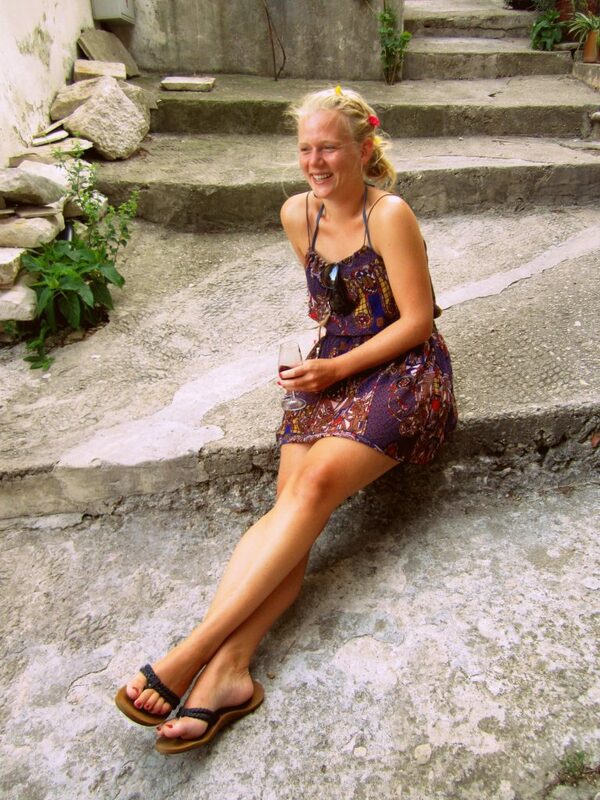 I am going to make an internship in Croatia and I think about finishing the experience with a week sail in Croatia ! I’ll probably be by myself… Do you remember if you were the only solo traveler or if it was common on boats ?